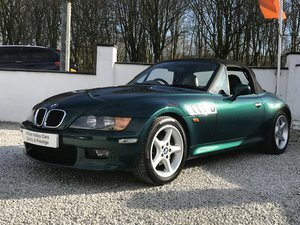 Here we have a stunning, low mileage example of the BMW Z3 M Coupe. This is a March 1999 example, its covered only 58,000 Miles. Featuring the 3.2 S50 engine, with a 5-speed manual gearbox. 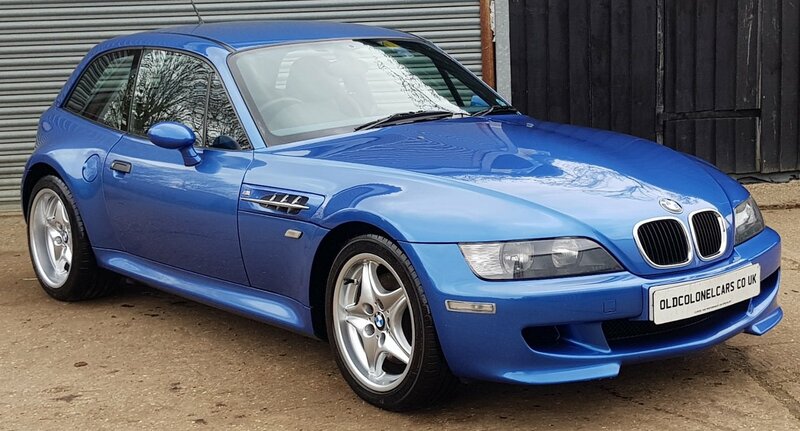 Finished in one of the best colours, Estorial Blue, this rare car looks superb. 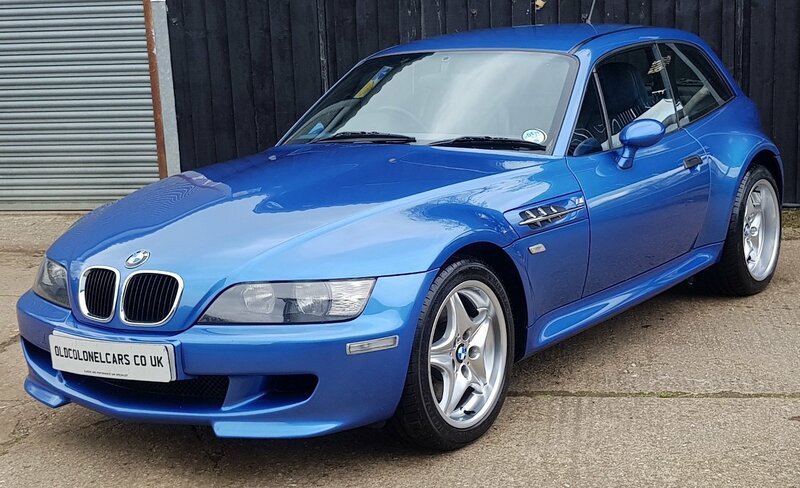 The Z3 M was a no compromise car, designed by BMW’s engineers with one intention, to create one of the best sporting coupes money can buy. This car is a welcome relief against many modern cars. Starting with the engine, in true ‘M’ form it likes to be revved, the performance and sounds are excellent. It features a strengthened body shell, sports suspension, limited slip diff, lovely close ration 5 speed gearbox, low down seating postilion with near perfect weight balance. This results on one of the best ‘weekend’ cars you can own, brilliant performance and handling, perfect for your favourite B road. 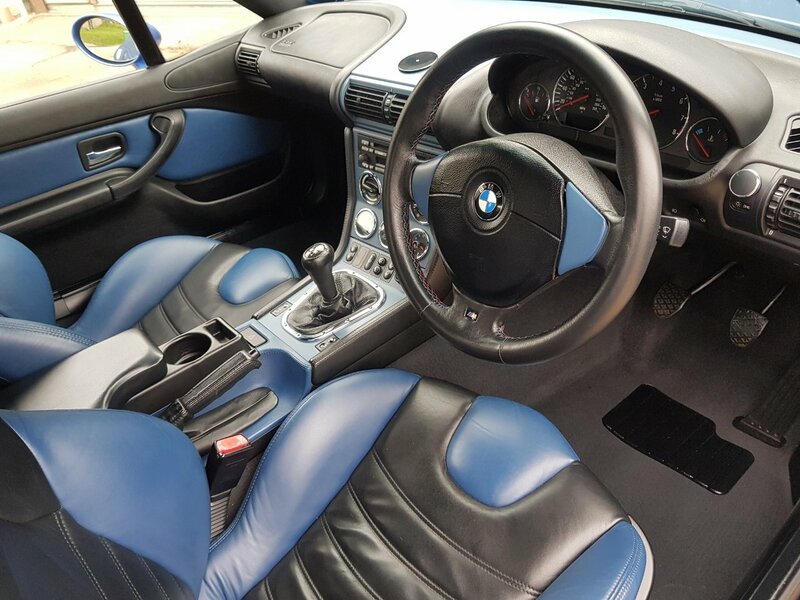 PAS, ABS, Electric windows, Electric mirrors, Heated mirrors, Sports seats, Heated seats, Electric seats, M Sport leather steering wheel, Air conditioning, Business CD RDS. Finished in Estorial Blue Metallic, one of the best ‘M’ colours. The paintwork looks fantastic, with a lovely shine. All arches etc are solid, a very well-kept example. 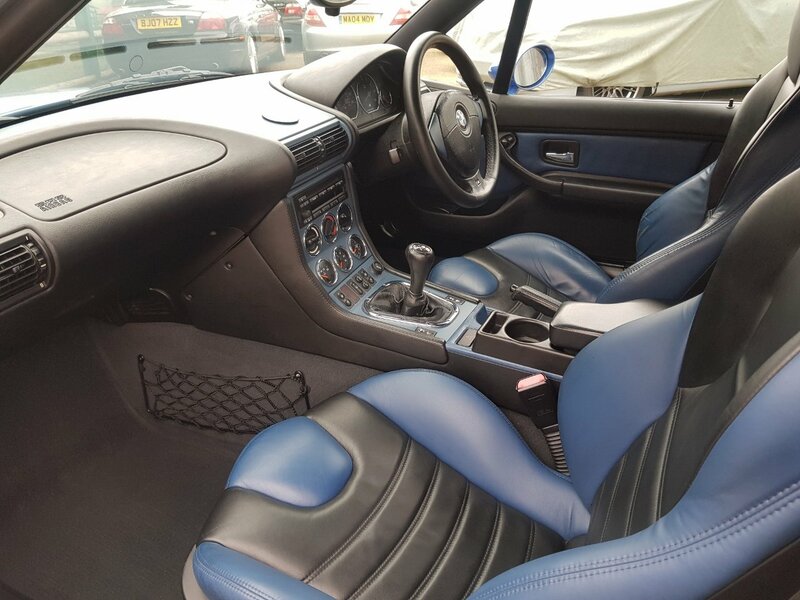 The interior is Black Nappa with Estorial Blue inserts. This again is in excellent condition. The matching door cars, centre console, chrome trim all add to a very good, driver focused interior. The wheels are all in lovely condition, free from any curbing etc. 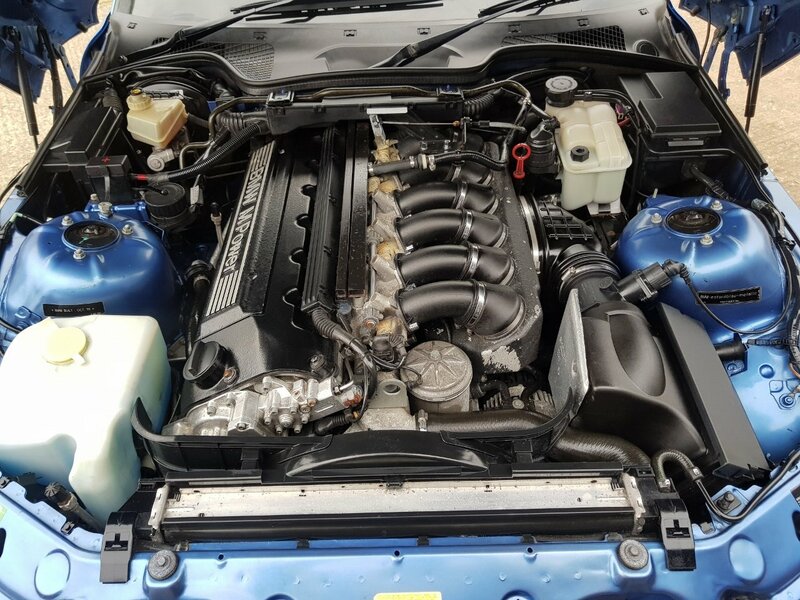 The 3.2 S50 M engine runs and performs perfectly. A recent tappet adjustment ensures this car sounds and performs as it should. It feels fresh, as you would expect for such a low mileage car. The 5 speed gearbox feels very tight, the clutch it nice and light. This BMW comes with a full-service history. We have a well organised folder full of Service receipts, Old MOTS, VOSA MOT history, HPI clear report including mileage verification check, Original manuals, Original fully stamped service book, Both keys etc. Please see a full breakdown of service visits below. If you are looking for a classic to tuck away for those sunny weekends, then they don’t come much better. This car will reward you every time you take it out, straight forward performance with excellent handling, superb. 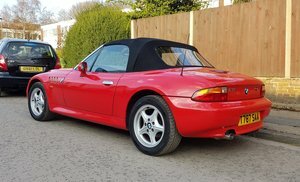 They are a rare car, less than a 1000 RHD examples were produced and prices are holding now, even creeping up year on year. Grab a good one now, this lovely example is ready to be enjoyed now !